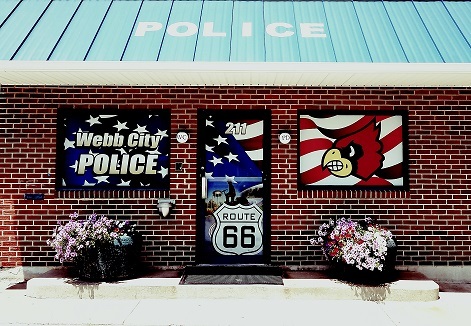 The Webb City Police Department is a Law Enforcement agency whose personnel are dedicated to equally and objectively providing service and protection, upholding the laws and Constitutions of the United States, the State of Missouri and the City of Webb City to promote a safe and secure environment for the public. The Webb City Police Department Special Response Team (SRT) was formed in 2008 in order to meet the changing needs of the community. Currently staffed with ten officers, the team is commanded by Chief Don Melton. The Webb City Police Department Special Response Team is a support resource within the Police Department. It shall be responsive to the needs of the entire Police Department, and shall also be available to any local, regional, state or federal law enforcement agency upon request and approval of the Chief of Police or his/her designated representative. The services of the Webb City Police Special Response Team are specifically directed towards situations of demonstrated violence and force, or potential violence and force recognized as necessitating a disciplined team effort utilizing specialized training, tactics and equipment. The primary objective of the Webb City Police Special Response Team shall be to solve the problem as quick as possible, using whatever means are available, whatever force is reasonable and necessary, with minimal risk to all involved.